Serious about your family history? Is this you? You’ve searched census records, military records, and every probate and land record you can find, but still can’t seem to solve that frustrating research problem. 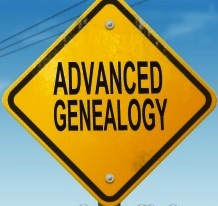 If so, you’re ready to enter genealogy’s case-building research phase. This series will give you an opportunity to advance your skills in research methodology and practice the Genealogical Proof Standard. The five-week course includes homework assignments! Each student will be expected to write a research report and a 1½-generation family history in an approved style. Examine all records in context: historical context, inherent context, logical context, and life context. Learn transcription techniques, abstract purpose, identify inferences, and plan your research from every document. Begin with a plan, document each step, and write the results in an appropriate research report format. Study different formats and practice writing: a formal research report, a proof summary, and a 1½-generation family history. Legal acts may be record sources and they affect your interpretation of the records. Learn more about the importance of law in your research. Prerequisites: The student must be familiar with the basic record groups: census, military, vital, probate, and land records - and must have used them all. Fee: Course is $80 for CGS members; $100 for non-members ($20 will be applied to CGS membership fee, if desired). Class size is limited to fifteen participants. No walk-ins. No refunds after classes begin on April 18, 2013. Download the series flier for full class descriptions. Students may bring dinner to eat in the library before the class begins. 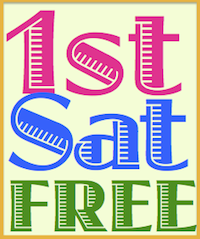 Interested students can also attend half-hour pre-class sessions to discuss the previous week’s assignments. These discussion sessions will be held from 6:00-6:30 p.m. beginning the second week, April 25. After each session, participants will walk together to BART or to their car. Please note: If you would like more information about the course, or if you're uncertain you're ready to take it, you may contact the instructor before registering. Email Susan Goss Johnston with your questions. Susan Goss Johnston was a member of Yale University's first undergraduate class of women, earning a B.A. in physics. After graduation, she began working in medical research while studying voice at Peabody Conservatory in Baltimore. The natural outgrowth of this experience, mixed with two children, led to genealogy, research that didn't require grant writing! 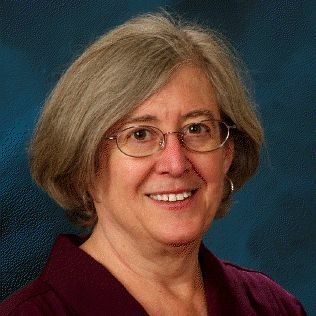 She is a frequent speaker in the Bay Area and has been involved in teaching and researching for more than thirty years. Sue is a ProGen Study Group alumna, completing the program in 2011, and she is a graduate of the National Institute on Genealogical Research and the "Advanced Methodology and Evidence Analysis" at Samford University's Institute of Genealogy and Historical Research. Her personal research focuses on families in New England and the Mid-Atlantic region, and she specializes in military records and federal land records. Sounds like a great series and I wish I could participate. Thanks for stopping by! Looks like you are already taking a challenging advanced course with the Boston U. program! I completed the B.U. Online (OL5) course May 2011.